When you're seeking care for elderly loved ones, you have several different options to explore. One of those possibilities is to work with an outside home health care agency. Considering the benefits of doing so can help you to understand why looking more into this option is a useful step. A home health agency can help your loved ones to receive the services that they need. Individuals who enroll in a home health care program are quite diverse as are their needs. Therefore, a representative can sit down with you and your family to determine what services are the most appropriate for your loved one. Also, these services can be set up on a schedule that makes sense. In other words, your loved one might require care around the clock. Your relative might need supervision for a few hours per day while the rest of the family is out. Furthermore, you might be attending work, school, grocery shopping and other tasks. Another benefit here is that home health care agencies might offer services that you didn't even know existed. By speaking with a representative, you can learn about a host of possibilities that can significantly better the life of your loved one. When enrolling in a program with a home health care agency, some individuals need monitoring. For example, they may have conditions that render them a hazard to themselves. As a result, they are in need of supervision during the day or night. Other individuals are in need of a companion or a person who can help to take them out during the day. Still, other cases require medical services. A home health care agency should have a staff of individuals who are trained in providing medical care. This care could be for a certain condition, or the staff members could help to provide at-home treatment for the clients. At the current time, your loved ones might not have medical needs that elicit outside assistance. However, you should take into account the fact that situations can change. Selecting a home health care agency means that you are preparing for the future. In the event that your loved one does end up needing medical care in the future, you don't have to switch providers. Instead, you can simply add on services from a provider that they are already familiar with, which can bring a sense of comfort. As you are researching options to provide care for your loved ones, you are likely focused on obtaining the highest quality of assistance possible. However, it is difficult to quell the sounds of financial concerns ringing through your mind. Financial worries should not stifle you from receiving high-quality care for your relatives. Home health care providers can help calm some of these fears. Many home health care providers have a variety of payment option that they accept. For example, you may very well not have the cash to pay for all of the services out-of-pocket. Even if your relatives have been saving for all of their lives, they might not be able to afford the sums either. Therefore, you can speak with the home health care provider about options for going through insurance. In the event that you discover that your relative's insurance is not going to cover the entire amount of the treatment, you should speak further with a representative from the home health care agency. You may discover that payment plans are available so that you can pay off the services on a monthly basis. Doing so can be far less overwhelming than dealing with one huge bill. As you are researching different options for treatment, you might become worried about the mental and emotional health of your loved ones. In other words, you may have concerns that bringing in a home health care agency could make them feel as though they are incapable of taking care of themselves. This environment is not one that a professional team of providers wants to create, so you can have a sense of confidence that you and the staff members are on the same page. Also, you can speak about your concerns with the representative. You may discover that many of the clients like spending time with their home health care aides or nurses because they provide a level of companionship. After losing a spouse or when living with family members who have work and school, many elderly individuals become lonely. The home health care provider can make these individuals feel happy and comfortable in their own homes again. They might go for outings, or they may sit inside and play puzzles or games when the weather is chilly. You might feel overwhelmed by the options when you are trying to find home health care providers. In fact, you might have met with some in the past and did not feel comfortable with what they were offering. Fortunately, professional outside agencies are available. Consider the benefits of working with an agency that decades of experience in the field. By doing so, you are getting the chance to hire professionals who know about a host of different scenarios and who are also up-to-date on the latest methods and technologies. As you are checking out and researching the different possibilities, make sure to look into the reputation of the facility. You may want to speak with your relatives' doctors for recommendations and ask relatives and friends what facilities they have used. When you are reading reviews online, just do so with a cautious eye. Sometimes, people are paid to write fake reviews, so you do not want to fall prey to them. Knowing that professional entities are available can help to encourage you to pursue this route. When you need to hire assistance for your loved ones, you might feel overwhelmed by the possibilities. What's good to know is that reputable home health care agencies with the right services are available for you. When you or someone close to you suffers from an illness or condition that does not come with any type of cure, you may want to consider a type of care known as hospice care. If you are not familiar with hospice, this is a type of care aimed at assisting individuals who are estimated by their doctor to have six months or less to live. You might be considering obtaining hospice care for a loved one or someone close to you. It's important that you're aware of what this care entails and the types of services provided with it. Additionally, this may include home health care. Hospice is a type of care that is provided to people who only have a short amount of time to live. The goal of hospice is to make sure that these individuals receive proper care and are as comfortable as possible in the time that they have left. 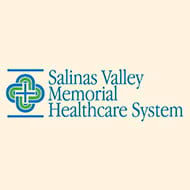 Patients receive individualized care. These care plans can address a wide range of issues that include physical, spiritual, and emotional pain. Provided assistance is available whenever necessary to the family caregivers of the patient in question. Hospice refers to this as bereavement support. In the event the patient has passed away, availability remains offerable. Most hospices believe that the overall quality of life provided for a person is as important as their length of life. There are also some hospice services available for you to select but aren't covered by Medicare. Something that you should be aware of. Generally, Medicare doesn't cover treatments that can cure your illness or are completely unrelated to that specific terminal illness. Administered care in an emergency room or nursing home is also not covered. When attempting to determine whether or not you or someone you know is eligible for hospice care, there are a variety of factors to take into account. In order for you to fully qualify for the services provided through hospice, a standard physician, as well as a hospice physician, will need to certify that you meet the necessary criteria for obtaining these services. The primary criteria require patients requesting hospice care to have a life expectancy that is set at six months or less. In the event that the condition or disease progresses as it's been diagnosed. In some cases, an individual may live past the original six months. If this occurs, hospice generally extends its coverage. Specifically, if their condition causes the decline in their overall health. If their health improves, and it appears as though the original life expectancy is substantially longer than believed, it's possible for the patient being discharged from hospice. Hospice care remains available in the event of being discharged from hospice but your condition eventually declines again. Hospice Solely for Cancer Patients? Many people believe that hospice specifically accepts individuals diagnosed with cancer. This is not always the case. There is a range of additional diseases and conditions that hospice patients may have. This may range from dementia and lung disease to heart disease. Anyone diagnosed with an illness or disease that is life-limiting will likely be eligible for this care. Is Hospice Provided At Home? 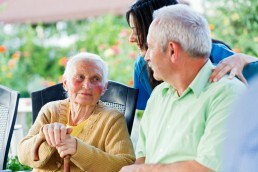 When you are thinking of obtaining hospice care, you may be wondering where provided care occurs. In the majority of situations, it's possible to receive this type of care from the comforts of your own home. The hospice team will be able to assist with a wide range of everyday tasks. This also includes household chores that you may be unable to complete yourself. If you or the individual close to you suffers from a substantial amount of pain, the control and management of this pain can be a priority for the hospice team. 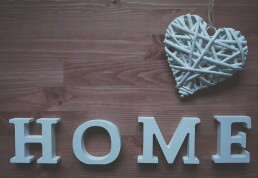 Most individuals want to remain at home in their final days. This is why most hospice services tailor to this expectancy. The hospice team in charge of your care can consist of additional professionals. This may include massage therapists and dietitians, which allows you to obtain the level of care that you deserve. Many of these individuals will also be able to provide you with friendship and companionship. All of which is especially important for people who live alone. While it may seem obvious that you select a provider that is knowledgeable in the industry, more important is that you know how to gauge this criterion. When choosing home health care, take a good look at the entity's website. A strong provider is likely going to post resources on its website so that you can read about topics related to home health care. As you're having discussions with representatives from the agency, note how quickly and efficiently they answer questions. Representatives who have to constantly look up the answer to your inquiries should cause some level of skepticism. You can also gain a sense of how proficient the agency is by reading reviews from families who have used or who are currently using the services. Do exercise caution with online reviews as they could be fraudulent. Instead, find out if the agency has actual references available, or speak with your relatives to see what providers they used. As you're researching providers in home health care, look into the levels of care that are offered. In other words, not all home health care is the same. For some situations, you might need a nurse to live with your ill relative. In other situations, you may need an aide to come to the house for a period of time each day while you are at work. You want to make sure that the facility offers the kind of care that your family needs. It's also important to choose a facility that offers multiple types of care because your family's needs can change. For example, if your loved one has a degenerative illness, you may need more care and coverage as the ailment progresses. Keeping your relative within the same care system can help to offer a level of comfort during a difficult time. You may think that your elderly relative needs only a companion right now. Of course, having a companion is extremely powerful, especially for people who are feeling lonely or abandoned. You might consider selecting a program where an aide comes to the home to spend time with your loved one. Regardless of what your relative's current needs are, you must prepare for the future too. In other words, you should select an agency that hires individuals who are trained in medical fields. Your loved one may have suffered from a medical event or needs someone to administer medications on a regular basis. You would want to have professionals who are trained in these areas there to handle the situation. 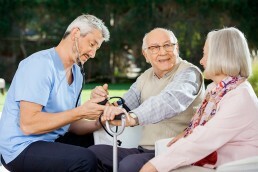 Therefore, it is of utmost importance that you work with a home health care facility that offers medical assistance. When you are speaking with representatives, you will likely need to discuss your relative's specific medical needs. Once you've started to go through all of the options for home health care, you can become quite caught up in the process. In fact, you may forget that you need to select an option that makes sense for your relative. Of course, you are probably cognizant of the individual's physical and medical needs, but you must remember that this individual is a person. Simply being told that home health care will start soon is likely a frightening experience for many individuals. They may feel as though you are taking over their lives. As you enter onto this sometimes difficult journey, you might feel overwhelmed. You are trying to choose the best care for your relatives, and you want to keep them happy as well. While you should speak with your loved one's doctor about specific medical needs, you do have some criteria to start with. These criteria can help you to narrow down the many options that are available for home health care. Aging can cause a variety of physical and mental changes in the body. That is why most people will need home care at some point. Home care allows people to receive the help that they need without leaving their homes. There are a number of telltale signs that one may need home care. Memory loss is a common sign of aging. People who are forgetful may frequently misplace things. They may also have difficulty recalling important information such as times, names and places. Additionally, they may neglect to pay their bills. It is common for people to forget things sometimes. However, it is not normal for anyone to be forgetful all of the time. If your parents have trouble recalling things, then it may be time for them to get home care. Falls are one of the top causes of death in people who are over the age of 65. In fact, half of fatal fall accidents occur in people who are over the age of 75. A fall is a clear sign that one may need home care. Because a fall may occur when you are not around, it is important for your loved one to have around-the-clock supervision. You will also need to look out for unexplained bruising. This can also be a sign of a fall. It may also indicate that your loved one bumped into the furniture at some point. It gets more dangerous for a person to drive as they get older. 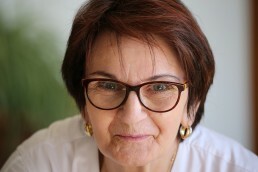 Seniors are more prone to vision problems. They also have slower reaction times. In fact, the average 65-year-old has a reaction time that is 22 times slower than a person who is under the age of 30. This can make it difficult to make maneuvers. If your loved one has gotten into an accident, then it is time to consider home care. You may also want to consider home care if your loved one has had multiple traffic violations. Additionally, you should look out for scratches and dents in the car. A home health care provider can make sure that your parents safely get where they need to go. Self-care is essential for staying healthy. Anyone who is neglecting self-care needs home care. Long nails, dirty nails, poor hygiene, body odor and unkempt hair are signs of a lack of self-care. People who do not eat regularly put themselves at risk for becoming malnourished. This can put them at risk for developing serious health problems. Home care is needed if your parents are having trouble putting together meals. If you suspect that your loved one is not eating enough, then you should look in the refrigerator. You may notice that there is not a huge selection of food. You may also notice that there is outdated food. It is normal for everyone to have mood swings at some point. However, frequent mood swings may be an indication of cognitive decline. A loss of interest in activities, depression and a loss of energy are some of the signs of cognitive decline. It is estimated that 75 percent of seniors take at least one medication. Eighty percent of the seniors who are on medication take more than one. Many people need this medication in order to manage a chronic condition. If your parents are taking medication, then you will need to make sure that they take it properly. If your parents are skipping doses or taking more than they need, then it is time to call home care. Home health care professionals will make sure that your parents take their medications properly. It is important to note that if medication is not taken properly, then hospitalization or death can result. It can become more difficult for one to take care of their home as they get older. If you notice that the home is unkempt, then it is time to get home care. You may notice that the laundry is piling up and the trash is overflowing. You should also pay close attention to the lawn. If the grass is not being mowed and the lawn is not being cared for, then this is a sign of yard neglect. People who are suffering from cognitive decline may become a danger to themselves and others. For example, they may leave the stove on after cooking. They may not know how to make the right decision in an emergency situation. Mobility problems can easily lead to a fall. You should look out for the signs of mobility problems. This includes things such as going up and down the stairs, dizziness and walking unsteadily. Being reluctant to leave the house is a sign of anxiety or depression. Your parents may not want to visit their family members or friends if they suffer from depression. They may also sleep for long periods of time and lose interest in their hobbies. There are several reasons a person may miss an appointment. They may forget about their appointment. They may not be able to drive to get to their appointment. Additionally, they may not want to go out alone. Home health care workers can make sure that your loved ones make all of their appointments. Parents try their best to give their children the best life possible. From the moment their child is born, parents are prepared to do whatever they can to make sure their child is well cared for. Perhaps, that’s why it’s only a natural response for adult children to want to return the favor of loving care and provide support for their aging parents. However, when it comes to end of life care, discussing hospice care with your parents may seem overwhelming. After all, many people regard hospice care as a place where one goes during their final days of life. However, this is a common hospice myth. In reality, hospice care is not a place but a philosophy that focuses on providing patients with the care, comfort, and dignity they deserve. Furthermore, hospice care happens in environments where the patient would benefit most. In many cases, patients receive the support they need, including skilled nurse care, within the comfort of their home. Best of all, hospice care is affordable to many families. 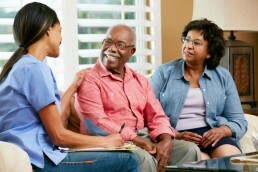 Hospice care services are covered 100% by most insurance plans, including Medi-Cal and Medicare. After doing their research, many adult children with aging parents realize that hospice care services are exactly what their parents need to live a full and rewarding life. This is regardless of the amount of time they have left. They often feel a sense of relief knowing that their mom or dad will be well taken care of. Furthermore, since hospice care takes a family-centered approach, it is common for the family and caregivers to experience the benefits of hospice care alongside the patient. However, even with all of the positive care and benefits hospice care provides, starting the end-of-life-care discussion with mom or dad can still be difficult. Sometimes, people delay discussing hospice care because they are worried it will upset their parents. However, when it comes to the safety and well-being of aging parents, hospice care is a conversation that cannot wait. Remember, your parents cannot receive the benefits of hospice care if they don’t know the option is available. If you have been wanting to discuss hospice care with your parents, but don’t know how to begin the conversation, you are not alone. Keep reading to learn several ways you can approach your parents and begin the conversation about hospice care services. Before you sit down with mom or dad, gather with your siblings to discuss your ideas. It’s important that you all share the united goal of recommending hospice care. Don’t try to bring up the subject of hospice care if one of your siblings is having a rough day. This can cause unnecessary stress and delay getting your parent the care he or she needs. Instead, wait for a calm day when you and your siblings are relaxed. Then have an open to having an important discussion. Share with them all of the research you have gathered on hospice care. Share meaningful articles and important information that you’ve discovered with your siblings so that they too can reach an informed decision. Once everyone one is in agreement, you can work together to plan the right moment to bring the conversation to your parents. Sometimes the idea of hospice care can seem scary simply due to the patient of family member not having enough information about what hospice care really is. Making an appointment with a hospice nurse or hospice care provider is a great way to discuss your concerns. It gives you and your siblings a chance to talk to someone who is extremely experienced in all matters related to hospice care. Speaking with a hospice nurse makes it easier to visualize what your mom or dad’s new daily routine might look like. The hospice nurse can use her years of experience to give you additional guidance for approaching your parents. Many hospice care providers are more than happy to answer your questions. Take advantage of this information to get the insider information you need to help your parents.. When you are able to find a peaceful moment to sit down with mom or dad to discuss hospice care, there’s a lot you’re going to want to say. Remember, it’s important you give your parent time to absorb all of the new information you share. Let them respond and ask questions. Acknowledge and empathize with any emotional response your parent has. Let them know their feelings are heard and understood. Remind mom and dad that it is ultimately their decision to make. Make it clear that there’s no obligation for them to start hospice care before they are ready. It’s very important that you reassure both your parents that they will always have your love and support. No matter what decision they make. It is common for children of an aging parent to worry about their parent's safety. However, In a survey conducted by AARP, it was discovered 90% of senior citizens prefer staying in their homes as they age versus entering an assisted-living home. In addition, while many will need help taking care of daily tasks, such as cooking meals, bathing, and running errands, at least 82 percent said they still wish to remain at home. Moreover, seniors fare better when they receive emotional support from their family and friends. They feel safe when surrounded by loved ones. The more they interact with those whom they love, the less likely they are to become withdrawn or depressed. Bringing in a home health care worker can really improve your parent's life. Caregivers provide individual attention and care in your parent's home. So, your loved one receives personal contact and much needed support. Your parent's basic needs will be met, and they can create a connection. Over the long term, there are many reasons staying at home and receiving in-home care are a great option for them and your peace of mind. Very few of us like change. And the older we get, we tend to like it less. As Dorothy from the Wizard of Oz told us, "There's no place like home." Feeling safe and comfortable leads to good mental health. We all want our parents to feel happy as they age, and staying at home is a key to maintaining that state of wellbeing. Fear of the unknown can make anyone anxious, but seniors are especially prone because aging is frought with unknowns. Knowing you can at least stay in your own home can help ease those fears. On another level, knowing your surroundings and "making it on your own" builds confidence. An unexpected illness can add stress to your senior's life and cause a long term negative effect. A home health care worker is trained for such a situation. Together, you and the caregiver can ease your loved one's anxiety. If your parents aren't tech savvy, perhaps you can help lead them to the numerous resources available online. Grocery stores deliver and meal delivery services are everywhere. Even pet products can be purchased online, as well as housekeeping and yard work. Many items they need can be brought to their doorstep. The in-home care giver can help with this as well. Being a caregiver to anyone is more stressful than you might imagine. And when it's your parent, other challenges come in to play. When your parent is able to remain in their home, it can make it easier when you have discussions about finances and medical decisions. Furthermore,with an in-home care giver, you have another resource who understands seniors and can help mediate discussions. Your parent is less likely to feel isolated or unhappy if they are in a familiar ad comfortable setting. When you're not able to be there, the in-home care giver can offer much needed company. Your loved one can show off their old family albums and talk about the glory days, which are great for feeling connected. Advisers from the AARP calculate the average cost of a nursing home or assisted-living facility as more than $50,000 annually. It might be helpful to sit down with your parent and create a budget. You may be surprised when you weigh the pluses and minuses of living at home versus in a nursing home. In addition, home health care services cost less than nursing home care, so your parent will have a win-win. Imagine the comfort you would feel, and the comfort your parent would feel, walking freely through their own home. Even if the home care worker has to help them fix a snack or use the bathroom, your loved one still can rest in their own bed or on their own couch. Seniors who move to an assisted-living facility feel as though they've lost their independence. Living at home gives them freedom, which builds confidence and promotes well-being. When your parent lives in their own home, they are less likely to become a victim of elder abuse and/or neglect. You will help them select an in-home caregiver, and you can drop in to check on them at any time, and not be subject to a facility's schedule. If you are able to keep your loved one at home, and provide them with in-home health care, it will be a benefit to them and you. You can find many trustworthy and well-established home care providers that provide 100% in-home care. We all want to keep our parents safe, comfortable and happy. That includes enabling them to live in their own home and bringing in skilled, humane caregivers. This option can be a blessing to your loved one and leave you feeling confident they are receiving the best care possible. Strokes have been negatively affecting the general population’s health for decades. In fact, almost 800,000 Americans experience a stroke each year. If you break it down, that’s about one stroke happening every forty seconds. While strokes can cause death, it is possible to be a stroke survivor. However, many survivors continue to struggle with the lasting physical damage and negative side effects strokes can cause. A stroke is a very serious medical emergency. With the possibility of happening at any age, place, and time, strokes are a danger to the old and young alike. However, you don’t have to live your life in fear of an impending stroke. This month, take control of your health by learning how to prevent a stroke from happening. While there are some stroke risk factors you can’t control, there are ways to reduce your chance of having a stroke. In fact, 80% of strokes are preventable. Keep reading to learn how you can reduce your risk of stroke. Pay close attention, what you learn here could help save a life. If you have high blood pressure, you are doubling, even quadrupling your risk of stroke. It is important that your work with your doctor to monitor your blood pressure and get it under control. Ideally, you want to maintain a blood pressure that is less than 135/85, or in some cases less than 140/90. High blood pressure is one of the leading causes of increased stroke risk in both men and women. Treating elevated blood pressure is one of the best things you can do to minimize your risk of stroke while simultaneously improving your vascular health. Reduce your salt intake to no more than 1,500 mg a day. That’s approximately half a teaspoon of salt. Avoid foods that are high in cholesterol, like fatty meats, refined grain products, and saturated fats. Eat 4-5 servings of fruits and vegetables every day. Consume 1 serving of fish 2-3 times every week. Following these healthy habits will lower your blood pressure and your risk of stroke. Not only is smoking bad for your lungs, it can also accelerate clot formation. Smoking thickens your blood and causes plaque buildup to increase in the arteries. Ending your smoking habit is one of the best lifestyle changes you can make to reduce your risk of stroke. Consult with your primary doctor to figure out the most best way for you to quit. Use effective quit-smoking aids like nicotine pills, medicine, or counseling. Never give up. It takes many tries for most smokers to successfully quit. Each try is a step closer towards your goal of a healthier, longer life. Adding exercise to your daily routine is a fantastic way to minimize your chances of having a stroke. In fact, it’s a great way to achieve a number of health goals. Not only does it help lower your blood pressure as previously mentioned, exercise also acts as an independent stoke reducer. Research shows consistent moderate exercise can reduce your risk of stroke by a whopping 27%. Start a fitness group with friends. Exercise to the level where you are breathing hard, but are still able to talk. Add more movement in your daily routine, like taking the stairs instead of the elevator. Take a stroll through the neighborhood after breakfast or during your lunch break. Swim some laps at the local pool. Doing any of these activities on a regular basis is a smart way to meet your weekly exercise requirements. Being overweight can lead to a series of health problems, including high blood pressure, diabetes, and increased chances of having a stroke. Losing as little as 10 pounds can have a huge effect on your stroke risk. Speak with your primary health care physician to discuss a weight loss strategies and realistic, achievable weight loss goals. Once you start shedding those extra pounds, you’ll also start shedding your risk of stroke. As you can see, there are a number of ways you can reduce your risk of stroke. You can decrease your chances of experiencing a stroke by living an active lifestyle, maintaining a healthy weight, and making health-conscious decisions. Protect yourself and the health of your loved ones practicing these healthy habits. Make sure to share this vital information with your friends and family. Together we can eliminate the threat of stroke in our community. Want to learn more ways you reduce your chances of stroke? Speak to your local health care provider to address any questions or concerns you may have. 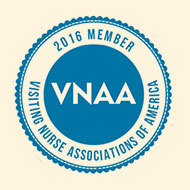 If you live in Monterey County, consider reaching out to Visiting Nurse Association & Hospice. Their award-winning nurses are ready to help you achieve your health goals and reduce your chances of stroke. Thousands of Americans are affected by stroke each year. In fact, every 40 seconds someone in the United States experiences a stroke. Every 4 minutes, someone dies from stroke. With numbers like this, it is easy to understand why medical professionals are advocating for more stroke awareness. The right stroke education can greatly reduce the number of strokes experienced each year. It can also help you live a healthier life without the fear that a stroke can strike you at any moment. You may have already heard that May is American Stroke Month. Perhaps you are wondering why health care professionals would devote a whole month to educating the community on stroke. The answer is simple. Studies have shown 80% of strokes may be preventable. With over 800,000 people experiencing a stroke each year, an 80% reduction would be a huge help in reducing the amount of hospital expenses and health issues that affect the average American. This month, learn everything you can about stroke and stroke prevention. Then do your part by sharing this valuable information with your friends and family. Remember, this knowledge can help save time, money, and lives! Keep reading to learn more about strokes, including warning signs and stroke prevention tips. Medically speaking, a stroke is a sudden interruption of blood supply to your brain. There are several different kinds of strokes a person can experience: Ischemic Strokes, Intracerebral Hemorrhage, and Subarachnoid Hemorrhage. An ischemic stroke is one of the most common type of stroke. It is caused when a clot or another form of blockage happens within an artery that leads to the brain. An intracerebral hemorrhage is a stroke that occurs when an artery within the brain suddenly ruptures. The brain structures then become compressed by the blood that is released into the brain. A subarachnoid hemorrhage is another type of stroke caused by a sudden artery rupture. However, in this type of stroke the rupture caused the released blood to flood the spaces surrounding the brain instead of filling the inside of the brain. The effects of a stroke depends on which part of the brain is harmed, and the extent of damage caused by the stroke. Regardless of which type of stroke you are experiencing, it is important you notice the warning signs right away and get immediate medical assistance. How Can I Tell If I’m Having A Stroke? Far too often, people ignore the signs of stroke because they aren’t sure if their symptoms are real. It’s important that you pay attention to your instincts. Listen to what your body is telling you. If something doesn’t feel right, it’s important you get professional medical help as soon as possible. “F” stands for face. One warning sign of a stroke is having one side of your face droop when you smile. “A” stands for arms. A second warning sign of stroke is having one of your arms drift back down right after you lift both arms. “S” stands for speech. A third warning sign is slurred speech or speaking oddly. "T” stands for time. If you notice any of these 3 major stroke signs in yourself or someone else, call 911 immediately. The letters spell fast because it is important you act fast. Getting medical treatment within 3 hours from when the first stroke symptom began can be the difference between recovery and a lasting disability. If you’re having a stroke you must get medical attention immediately. Once you’ve identified a stroke using F-A-S-T, call 911. If you’re having a stroke and are unable to speak, ask anyone nearby to make the call for you. Remember, it’s crucial that you get treatment within the first 3 hours of your first stroke symptom. Make sure you note the time of the first symptom. Many stroke treatments are time sensitive. By keeping track of the start of a stroke, you can give the emergency staff the opportunity to make more informed decisions about treatment options. If you think you are having a stroke, do not take any medication. For some specific kind of strokes called Ischemic strokes, taking an aspirin can be dangerous. Stay safe by avoiding any medication until the emergency staff can identify what type of stroke you are experiencing. Strokes can also affect a person’s ability to swallow so avoid giving anyone who may be having a stroke food or drinks. You don’t want to cause anyone to accidentally choke while having a stroke. A stroke can happen to anyone at any time, regardless of age or gender. However, research shows that 80% of strokes are preventable. By making healthy lifestyle changes, such as exercising on a regular basis and having a nutritious diet, you can greatly decrease your chances of having a stroke. You can also minimize your risk of stroke decreasing any risky activities. Losing excess weight, lowering your blood pressure to a healthy level, keeping your blood sugar down, and quitting your smoking habit are all excellent ways to reduce your risk of stroke. Children are more likely to live healthier, longer lives thanks to advancements made in medicine. Immunizations give you the power to give your child a healthy start in life. Vaccines have already reduced the number of diseases in the world. For example, measles was once a typical illness in the 1950s. However, the measles vaccine has reduced the disease. Now, very few doctors even see a case of measles. Vaccines are still a relatively new concept, medically speaking. It wasn't until the 1990s that heavy education on the importance of child vaccines began. Even today, in 2018, some parents are still wary of the long term effects of child vaccines. However, it’s important to remember that vaccines are extremely safe. In fact, there is rarely a reason why anyone shouldn't get a vaccine. Doctors and other healthcare professionals have been trying to debunk vaccine myths for years. Some parents refuse to vaccinate their children, even with numerous studies proving the safety of vaccines. This has created health consequences for their children and their entire community. Don’t let any vaccine misconception keep you from making the best healthcare decisions for your family. Take advantage of the benefits vaccines create. Keep reading to learn the truth behind several popular child vaccine myths. The immune system of an infant is stronger than you think. The amount of antibodies in an infant’s immune system makes it theoretically possible for an infant to receive 10,000 vaccines at a time. There are 14 vaccines doctors recommend your child gets before the age of 2. Thanks to today’s vaccines, children exposed to fewer diseases than previous generations. While there is a possibility vaccines can cause symptoms of the disease they’re trying to prevent, you have nothing to worry about. In the rare cases this does happen, the symptoms are mild and non-threatening. This is because the child is not actually infected. Instead the child’s immune system is responded to the vaccine, creating the visible symptoms you notice. It is possible for your kid to remain unvaccinated and perfectly healthy. This is because of “herd immunity”. Herd immunity happens when the majority of the population is vaccinated. Immune citizens help protect the immunity of the unvaccinated minority. They make it harder for diseases to spread. After all, a disease has no one to infect if everyone is immune. However, herd immunity can disappear if not enough people are getting vaccinated. Parents mistakenly believe they don't have to vaccinate their children. However, unvaccinated chiLack of vaccinations in children creates a dangerous situation. Diseases have more opportunities to spread and infect unvaccinated communities. In addition, diseases brought back from foreign countries can result in health problems at home. This is especially dangerous for newborns, pregnant women, and elderly citizens who have weakened immune systems. Many parents fear vaccines causing autism in their children. One fear is that the thimerosal gives children autism. However, there is no evidence linking thimerosal to autism. Furthermore, thimerosal has not been used in infant or child vaccines for many years. The MMR vaccine is another immunization accused of causing autism. This is likely due to most children getting diagnosed with autism around the same age the MMR vaccine is recommended. However, scientific studies from all over the world have found no connection between the vaccine and autism. There are cases when surviving a disease gives a person a stronger immunity against that particular disease. However, this doesn't mean you should try to get your child sick. The negative side effects of catching a disease far outweigh any possible benefits. Even if the benefit is immunity. Especially when a simple vaccine can do the same thing, without endangering your child’s health. For example, if someone wanted to get an immunity to measles by catching the disease, they would face a 1 in 500 chance of dying. On the other hand, the chances of someone suffering an allergic reaction while getting the measles vaccine is one in a million. After learning the truth about vaccines, you’re probably ready to take the first step towards protecting your children from vaccine-preventable diseases. But where do you begin? Start by reaching out to your local healthcare provider to learn more. Schedule an appointment to discuss vaccine options with your child's pediatrician. Vaccines are an important life-saving tool and should be available to everyone. If you’re worried you can’t afford vaccines for your children, reach out to the Vaccines For Children Program . This federally funded program specializes in helping low-income families get free vaccines. Call their toll free number, 800-232-4636, to get started. Want a stress-free vaccine appointment? Visit a local immunization clinic. For example, VNA & Hospice has an immunization clinic designed to serve the vaccine needs of citizens throughout California’s central coast. There are many options available. In fact, vaccinating your children is easier now more than ever. Take the first step to protect them from dangerous diseases today. How much do you know about National Infant Immunization Week (NIIW)? From April 21, 2018- April 28, 2018, health care professionals all over the country discuss the importance of vaccines. This special week recognizes the benefits of immunizations for infants and young children. For many years, healthcare providers from all over the United States have been working with the Centers for Disease Control and Prevention (CDC) to discuss the positive impact of vaccines in children’s health. They also highlight noteworthy achievements of immunization around the world. Infant immunizations are a powerful medical tool that improves the health and life quality of young children everywhere. However, not everyone thinks infants should get vaccines. 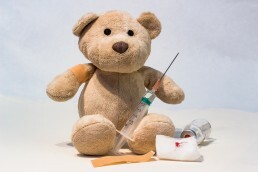 Infant immunization is still a controversial topic. Unfortunately, harmful vaccine myths only deepened the controversy. April is the perfect time to reveal the truth about childhood vaccines. There are several ways you and your friends can do this. For example, you can stop the spread of misinformation. Or,you an help educate your community about the importance of vaccines. If all of this seems a little confusing, don't worry. Soon you'll know everything you need to know to make a helpful impact. Keep reading to discover everything you need to know about National Infant Immunization Week. Why Was National Infant Immunization Week Created? 1.) Have healthcare providers simultaneously promote the benefits of immunization. 2.) Improve the equity of the use of vaccines. 3.) Make universal vaccines a reality. 4.) Increase assistance with cross-border immunization activities. 5.) Educate parents on the importance of infant immunization. 6.) Create better communication between doctors and parents. Protect properly immunized children under the age of two from 14 vaccine-preventable diseases. Eliminate the spread of measles. Measles used to be a common in the 1950's for children to suffer to measles. Today, the measles vaccine has almost completely gotten rid of measles. Furthermore, few practicing healthcare professionals ever see a case of measles. Why Are Infant Immunizations Important? It can be tempting to think of diseases as a thing of the past. However, parents shouldn’t ignore the importance of infant immunizations. There are still children who catch terrifying vaccine-preventable diseases. This can happen even in the United States. Thankfully, routine child immunizations are making things better. Vaccines prevent nearly 381 million illnesses and 24.5 million hospitalizations. In addition, infant immunizations are a key factor in preventing an estimate of 855,000 early deaths. Don't forget, infant immunizations also benefit the economy. Just think of how much money is saved by eliminating so many illnesses, hospitalizations, and untimely deaths. In fact, disease-preventing vaccines are estimated to create a net savings of $1.65 trillion in societal costs. There are numerous records proving the success of infant immunizations. In fact, it may be hard to believe that some parents are opposed to the idea of vaccinating their children. Immunizations have achieved a lot of medical success over the years. Despite this, several myths about infant immunizations continue to flood the media. Unfortunately, this causes some parents to become distrustful of vaccines. As a result, they can place their children’s health at risk. Parents who believe vaccine myths may end up choosing not to vaccinate their child. As a result, their child faces the risk of catching a vaccine-preventable diseases. For example, you may remember that few doctors today ever see a case of measles. This is mainly due to the measles vaccine. However, America experienced a large number of mesale cases in 2014. Twenty-seven states reported 667 measle cases to the CDC. The leading theory is this record number outbreak was caused by parents who chose not to vaccinate their children. Anyone can participate in National Infant Immunization Week. In fact, there are a variety of NIIW opportunities for everyone. Are you a parent? Make sure your infant’s immunization records are current. Don't have any children? You can still help. Educate others about infant vaccines to put an end to preventable diseases. Educate parents and caregivers about the crucial role vaccinations play in protecting infants from vaccine-preventable diseases. Work with local healthcare providers to facilitate better communication between doctors and parents. Discuss the dangers of vaccine-preventable diseases to young children. Highlight the achievements immunization advancements have made over the years. Inform parents, caregivers, and teachers about a Vaccines for Children's number, 800-232-4636. This program was created to help low-income parents get vaccines for their children. One can call toll free number for assistance. This includes finding local vaccine areas. Use the power of your social media account to share stories that highlight the importance of childhood immunizations. Take the time to thank the volunteers in your community for their efforts to provide childhood immunizations to everyone. Do your part to help the children in your community. Spread awareness about the importance of infant immunizations in your area. Speak out against false immunization information. Serious diseases are a terrifying thing. However, medical advancements now prevent once common illness. Vaccines have nearly removed measles from the population. Take a moment during National Infant Immunization Week this month to recognize the important role infant immunizations play in your hometown. Let's work together to educate others about the infant vaccines. In addition, discover new ways to collaborate and spread immunization awareness. Lastly, work with the members of your community keep children safe. This April, work towards a future where no child ever suffers from a vaccine-preventable disease.